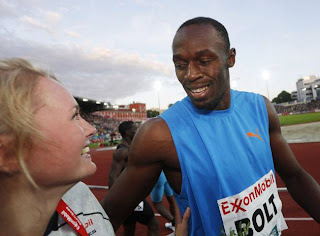 Usain bolt crashes into an unidentified girl after crossing the finish line with the year's second quickest 100m sprint. Usain Bolt is the fastest man in the world, and his momentum at the Diamond League in Oslo couldn't prevent him crashing into a flower girl. 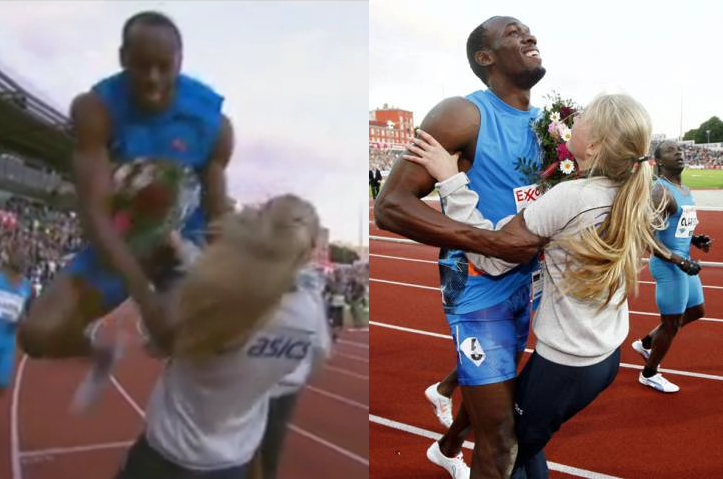 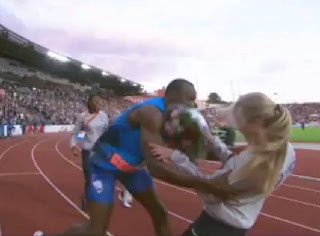 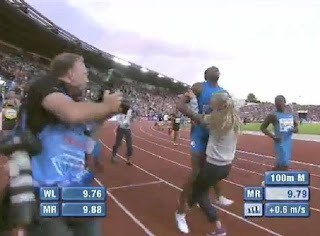 The Jamaican's collision with the girl ended up with the flower bearer losing her balance as he attempted to prevent her from tumbling onto the running track. 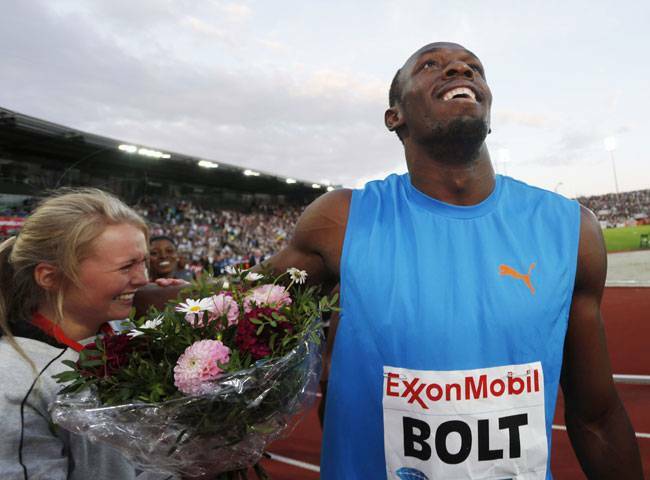 Bolt took victory in the men's 100m at a time of 9.79 seconds, finishing clear of Asafa Powell, who came second in 9.85 seconds. It took him a while to slowdown himself and the girl, who was there to give him flowers. Bolt tried to avoid her but he was too fast and could only manage to hold her upright.